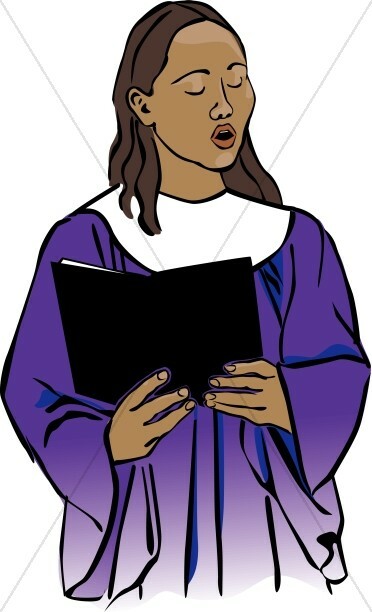 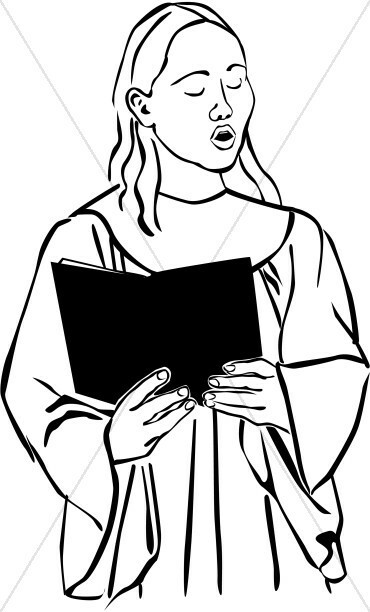 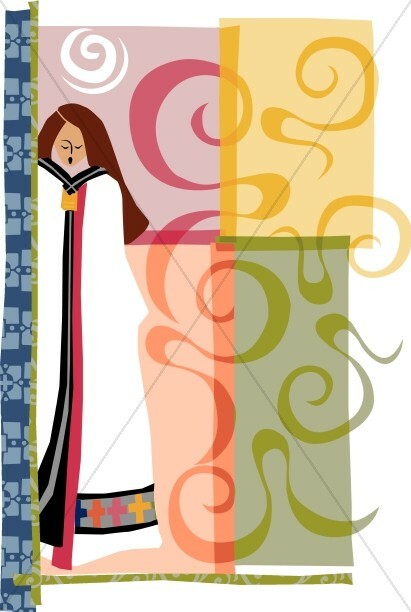 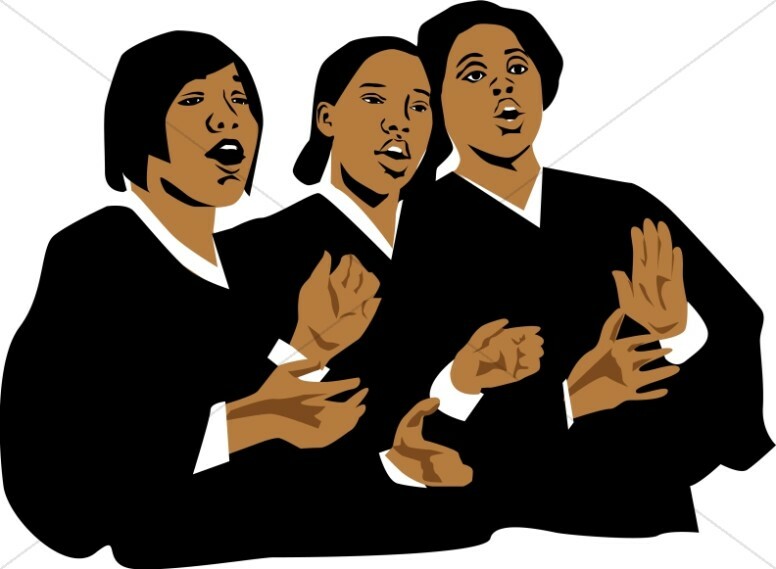 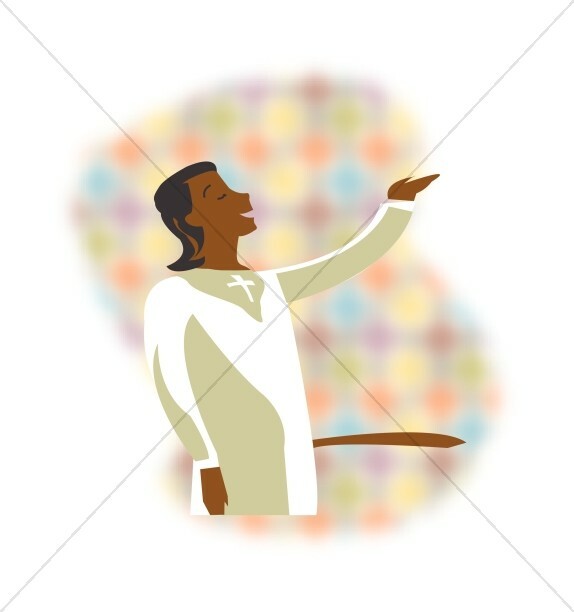 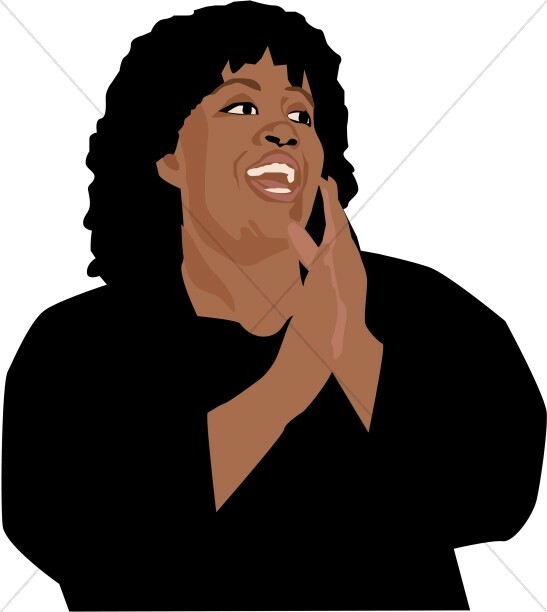 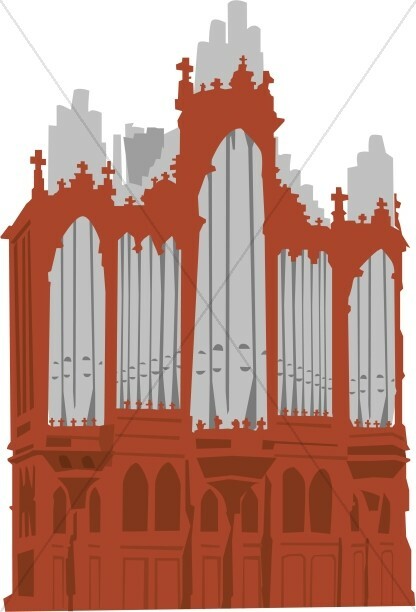 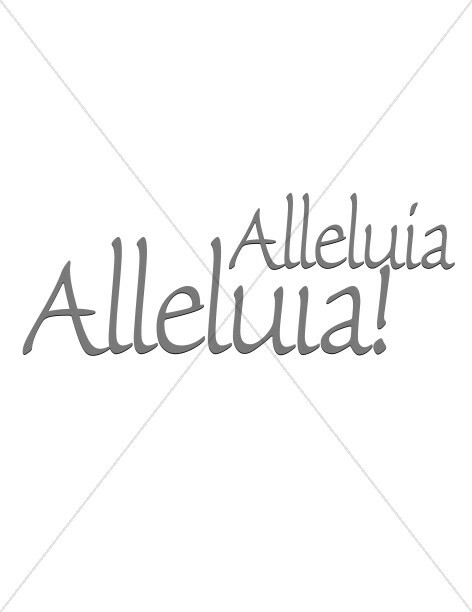 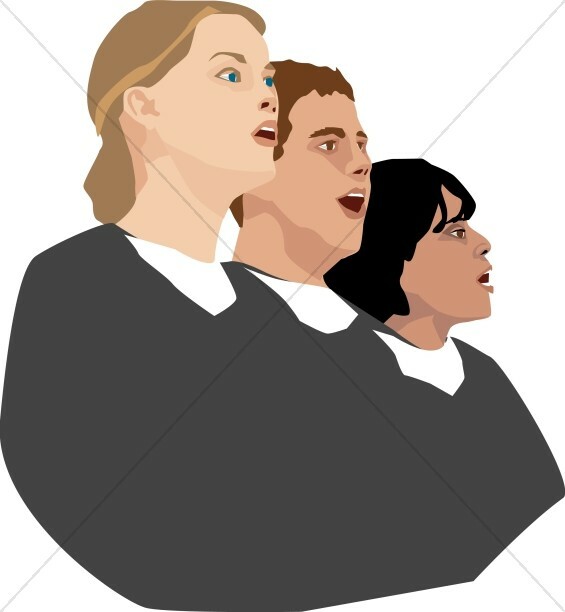 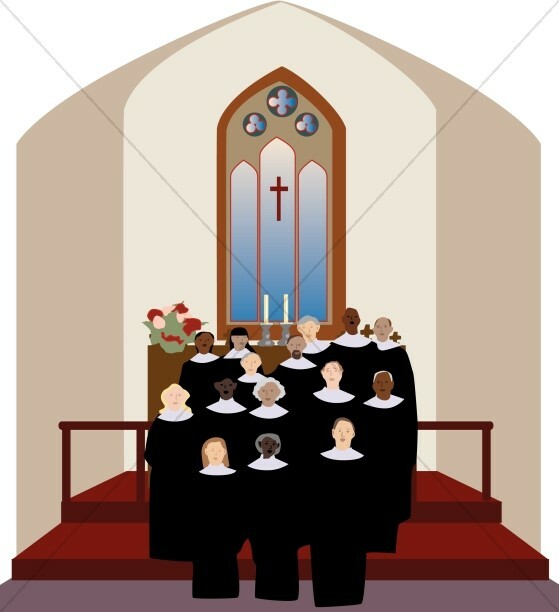 In Church Choir Clipart you will find beautiful images of church choirs singing in the church sanctuary. 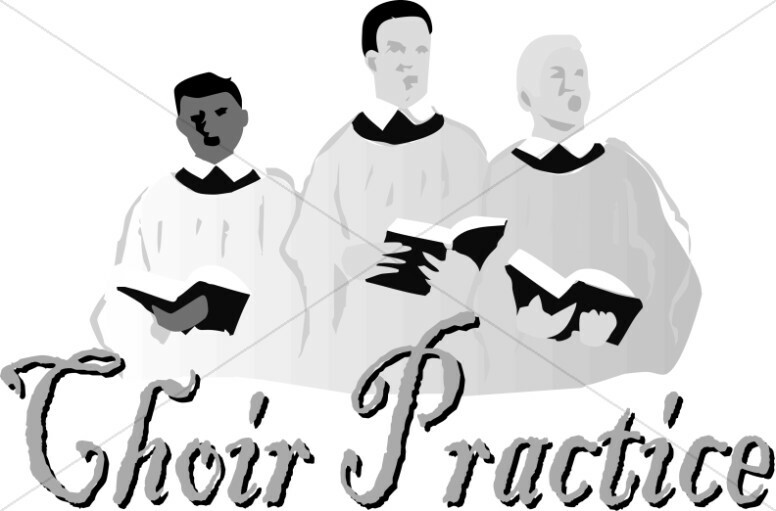 Some of the choir graphics have a realistic style and may be ideal decorations for a choir practice room, or a logo for a choir camp. 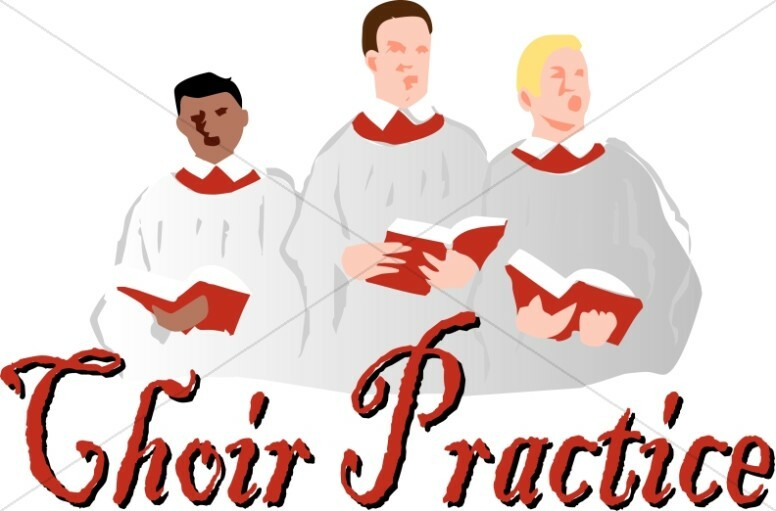 The "Choir Practice" and "Choir Camp" images are very popular among church choir directors to highlight an announcement in a Sunday bulletin. 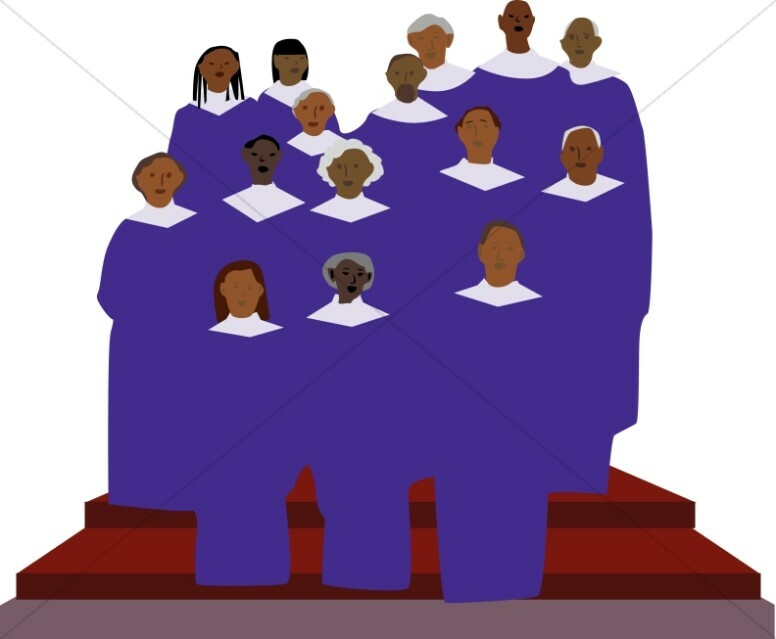 A choir can add an uplifting note to any worship service and occasionally the choir is a featured performer. 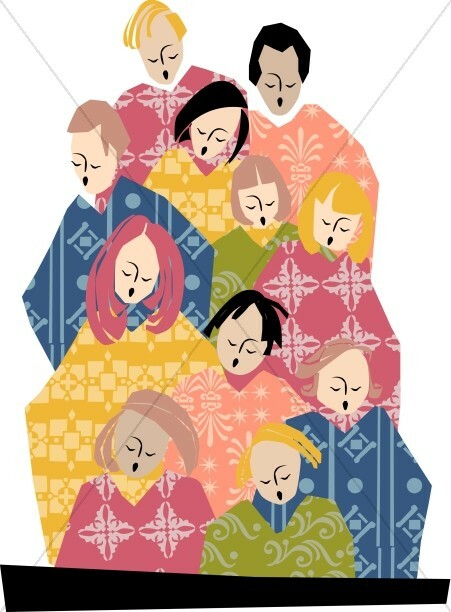 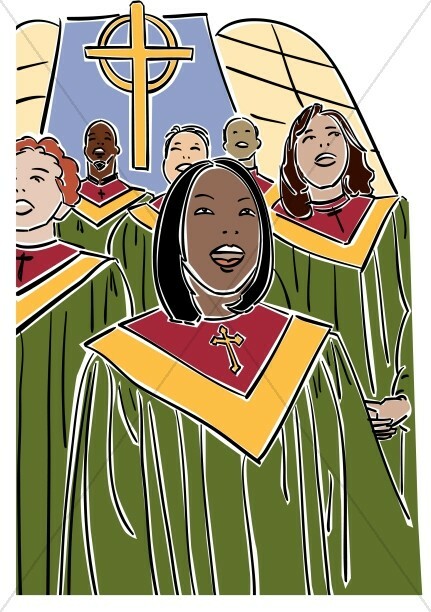 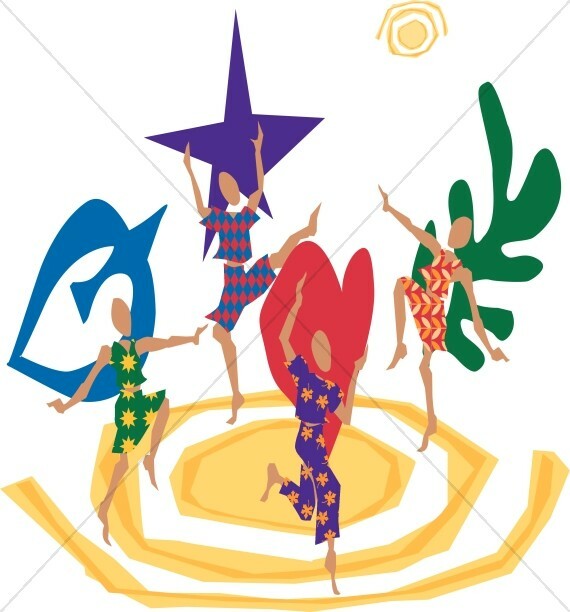 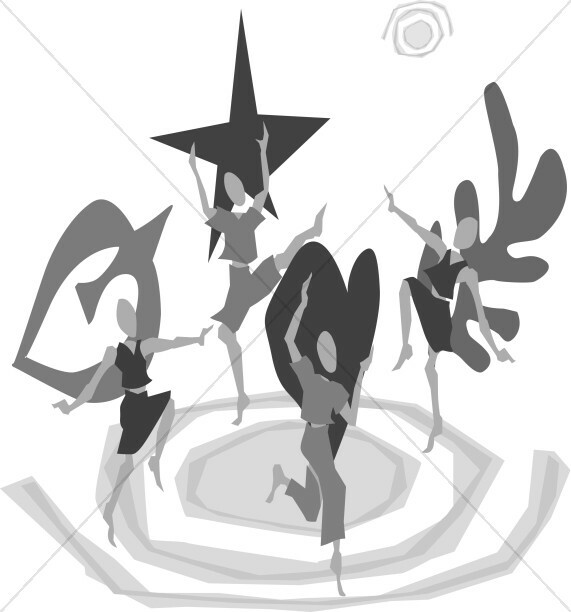 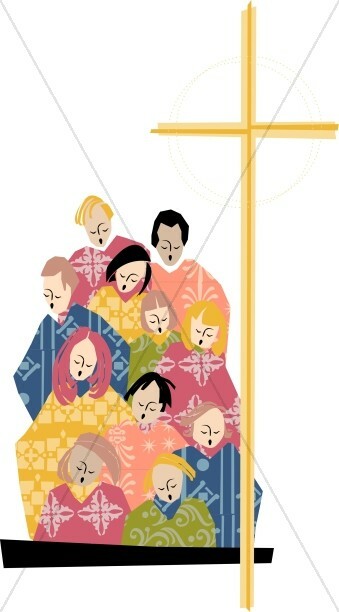 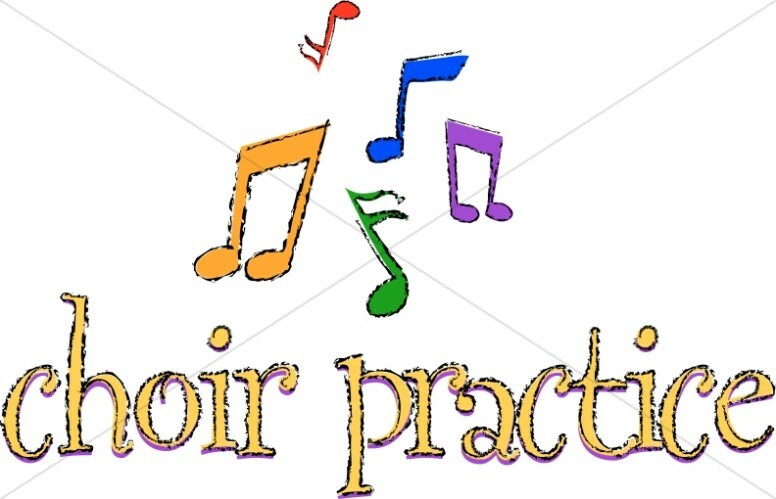 In this case, the symbolic choir clip art in this collection, such as the dancers or the colorful vocalists next to the cross, may be ideal bulletin cover art. 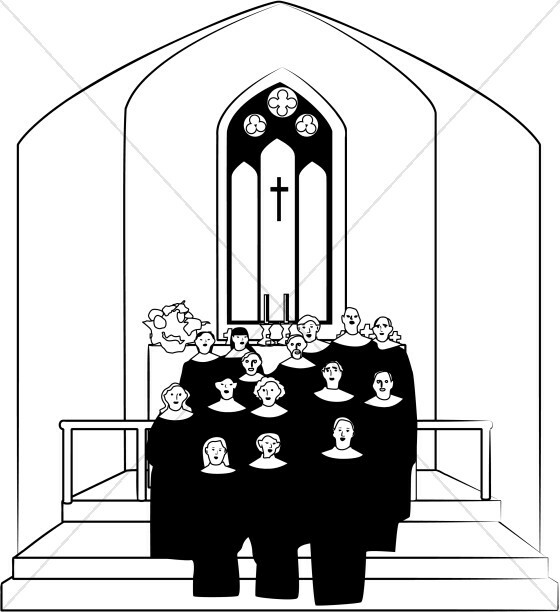 For musical notes, see Church Music Images.